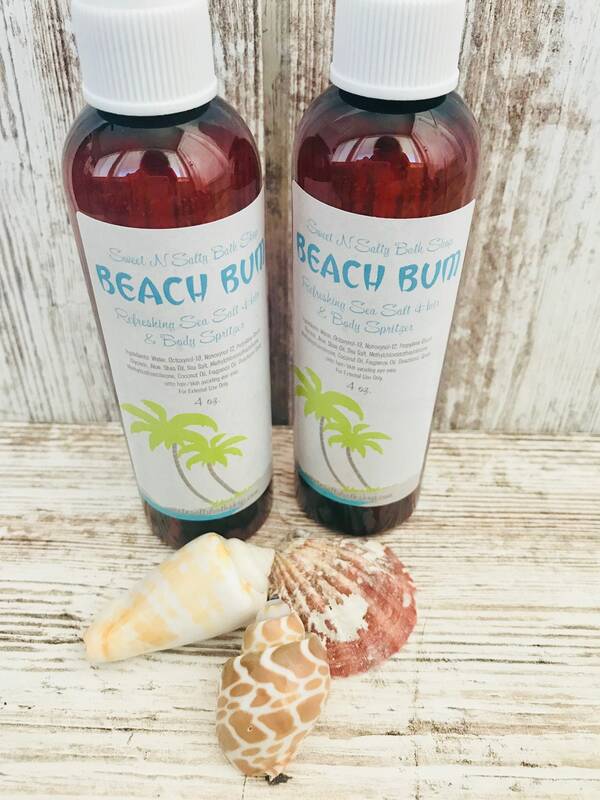 Give your hair beautiful “Beachy” waves with this Sea Salt Hair & Body Spritzer. Made with nourishing Argan and coconut oil with a splash of aloe to soften your hair and leave your locks shiny and radiant! Just spritz onto wet/damp hair and scrunch. Let air dry for gorgeous beach waves! Great for hot, sunny days at the pool and is the perfect size for your beach bag or tote. 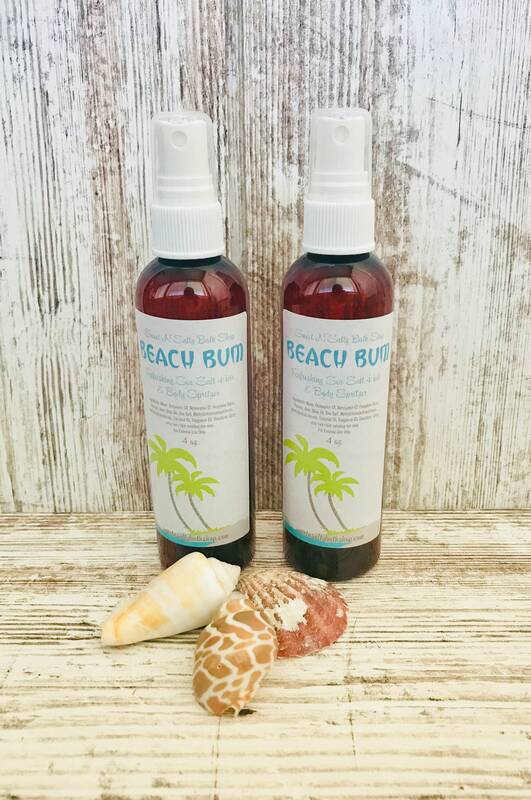 The refreshing Beach scent of warm sand, sea spray, jasmine, and mandarin also makes a great body mist for those long, hot summer days. Just spray onto skin avoiding eye area. This listing includes one 4 oz. bottle of Sea Salt Spritzer.